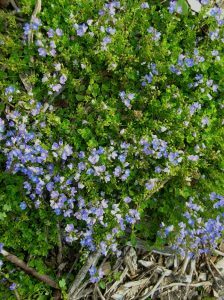 From midspring to midsummer short blue spikes above prostrate foliage. 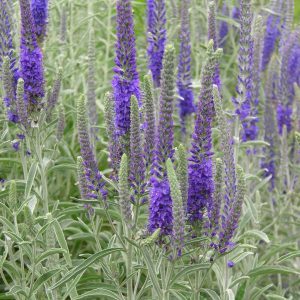 Care: sun to part shade in moist well-drained soil. Wildlife Value: Deer and rabbit resistant. 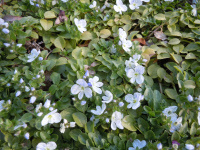 Palest of blue blooms in spring on this low, creeping groundcover. 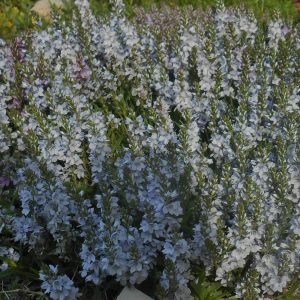 Best for rock gardens, troughs, or front of the border.